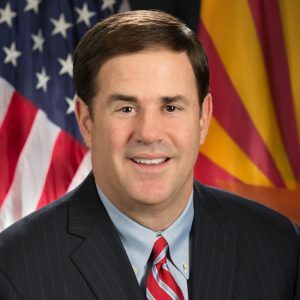 Doug Ducey has served as the governor of Arizona since 2015. He was the state treasurer from 2011 until 2015. Gov. Ducey opposes new national monument designations in Arizona, but has also vetoed bills that would turn over public lands to the state. Gov. Ducey opposes new national monument designations in Arizona. Ducey has concerns about the transfer of federal lands.